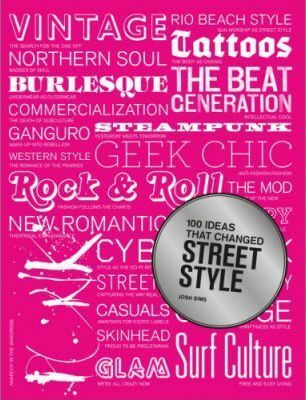 100 Ideas that Changed Street Style is a look-by-look dissection of the key ideas that changed the way we dress - from the middle of the 20th century to the present day - explaining the most iconic items of clothing and how they were worn, what the look was born of, its cultural background, how it was received and how it still resonates in fashion today. The modern wardrobe owes its development not just to fashion designers in Paris or Milan but also to gangs and movements brought together by a shared appreciation of music, sport or a particular underground culture, and a certain style that defines membership. These styles have rocked establishments, created stereotypes, expressed social division as much as they have united people, entered the language, spread around the world and, above all, transformed dress for a wider public. Josh Sims is a freelance style writer, contributing to the likes of the Financial Times, The Independent, The Independent on Sunday, Mail on Sunday, Channel 4, the BBC, Esquire, GQ, Wallpaper* and i-D. He is the author of Icons of Men's Style and Cult Streetwear for Laurence King and contributor to several fashion books from Taschen. He has extensive contacts within the style and mainstream press.